This board is an add-on board for the Apalis Evaluation Board. This Mezzanine Board provides access to the type specific interfaces on the Apalis TK1 module. It makes the Apalis Evaluation Board compatible to the CSI Camera Module 5MP OV5640. These interfaces may differ between different Apalis modules. Different type specific mezzanine boards will be available for each Apalis module. 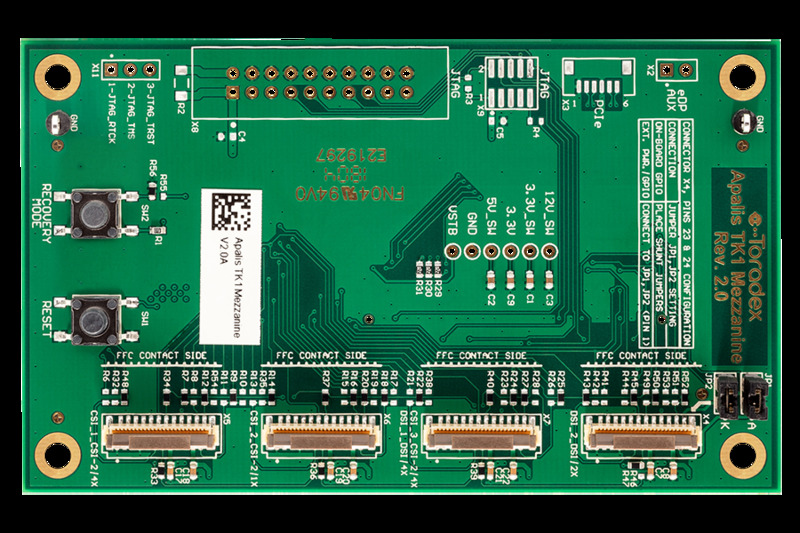 Customers are free to develop their own type specific Mezzanine Board for prototyping and development purposes. Please refer to the datasheets for the individual Apalis module for more information.